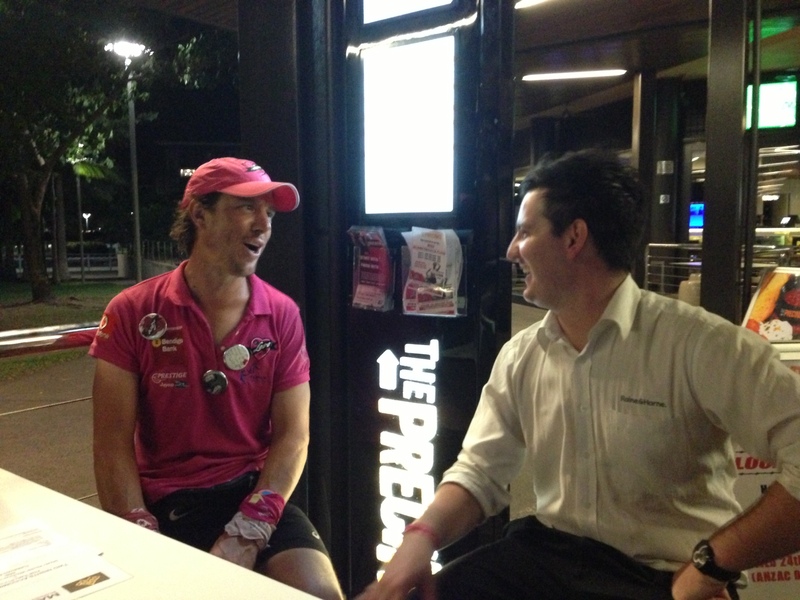 Yesterday morning on the way to my first meeting I heard an interview with a young guy who is riding around Australia (15 000kms) on a unicycle to raise money and awareness for sufferers of Breast Cancer. I listened intently to the story that he told of his sister who is terminally ill with Breast Cancer and the kids that she will be leaving behind. The story that he told touched me. This was most probably because of the matter of fact way that he spoke and also because his sister was in the studio with him…..and she spoke even better. The crescendo of the interview was when the young bloke told us that his sister had ‘busted out of hospital’ to be on the wireless today and that she still had drips and tubes hanging out of her so that she looked like a bloody Xmas tree covered in tinsel. The actual situation was that she had landed in Darwin that day only to be rushed to hospital and have to be respirated to survive. Then after a sleepless night she ignored Dr’s orders and left to go to the radio station so she could add punch to her message. A message that her and her brother devised in her kitchen following her terminal diagnosis. The plan was for Samuel Johnson to ride around Australia on a unicycle raising $1 Million and awareness as he goes with the intent that if they could save just one young family from losing their mother before her time then they would have been successful. WOW!!!! 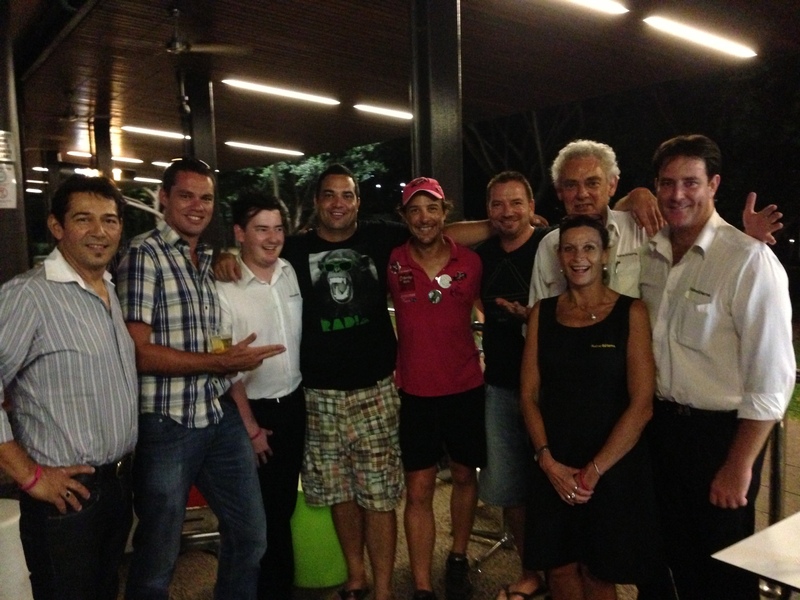 So here is Samuel in Darwin after 3 700km on one wheel and they have $160 000 under their belt with all proceeds going direct to the charity. They have some awesome sponsors and spectacular stories of generosity to tell. Samuel by the way is the dude that shot to fame in ‘The Secret Life of Us’. He was the knockabout doofus named Evan in the show who played opposite Claudia Karvan. 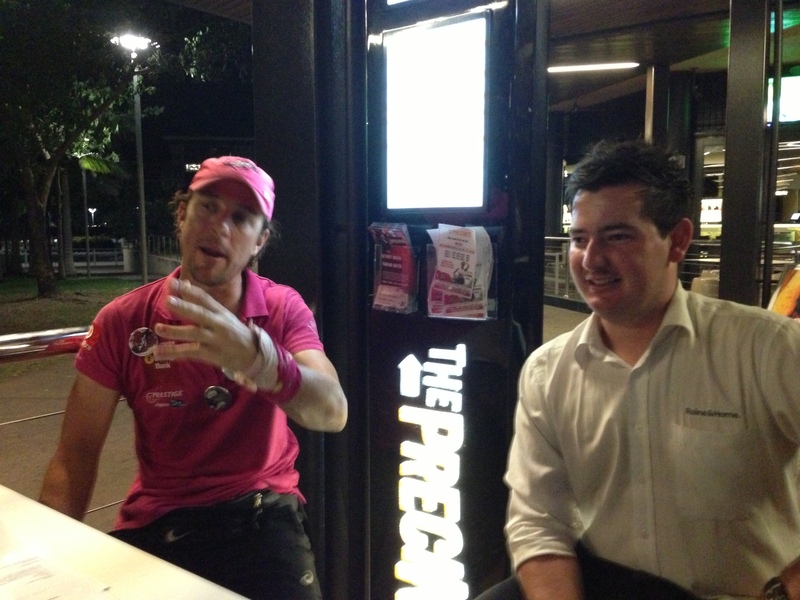 I have to tell you he is a great guy to have a beer with and we were very lucky last night to spend a few hours having a chat with him at the Precinct Tavern in Darwin. I was even luckier to be asked to be the auctioneer for some charity items and we raised a few bucks. His crew is made up of family and friends who are similarly wonderful people donating their time to a fabulous cause. If you run into Samuel make sure you ask his right hand man, Leyton to tell you the story about the truckie in the middle of nowhere who shared a can of drink with them and told them about his sister…..If you do not have a tear in your eye then I give up! Keep up the awesome job team and thanks Samuel. You made my team stand up and take notice. Go to www.loveyoursister.org and donate a few bucks.